The Ancient and Accepted Scottish Rite of Freemasonry, commonly known as the Scottish Rite, is one of several Rites of Freemasonry. A Rite is a progressive series of degrees conferred by various Masonic organizations or bodies, each of which operates under the control of its own central authority. In the Scottish Rite the central authority is called a Supreme Council. The Scottish Rite is one of the appendant bodies of Freemasonry that a Master Mason may join for further exposure to the principles of Freemasonry. 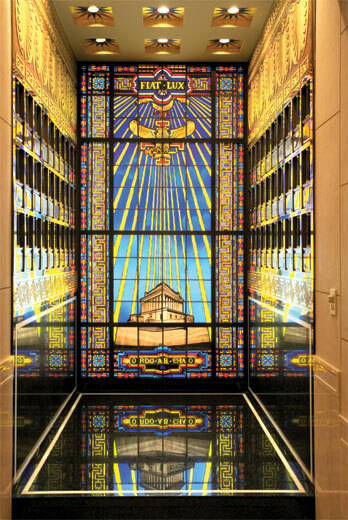 The Scottish Rite builds upon the ethical teachings and philosophy offered in the craft lodge, or Blue Lodge, through dramatic presentation of the individual degrees. The Scottish Rite consists of the 4°–32° and an honorary 33°, which is awarded for exceptional service. There are several theories as to the origin of the Scottish Rite, but as it evolved in France in dates from about 1754 when a Chapter (or College) of Claremont was founded in Paris with seven degrees. By 1758 the system had become a Rite of twenty-five degrees known as the Rite of Perfection, whose Grand Regulations were issued in 1762. In 1761 Stephen Morin was designated to introduce the Rite into the New World. He first established the Rite in Kingston, Jamaica and in San Domingo. On the mainland, Bodies were set up at New Orleans, LA in 1763, at Albany, NY in 1767, at Philadelphia, PA in 1782, and at Charleston, SC in 1783. Accepted Scottish Rite” into formal existence, enlarging the number of degrees to thirty-three, with the 33rd degree as a governing Supreme Council. you. The Grand Constitutions of 1786 were issued in the name of Frederick the Great of Prussia as titular head of the Rite, but, he was suffering from terminal illness at the date they were promulgated, and died soon afterwards. No degree of the Scottish Rite seems to have had its actual origin in Scotland. The term “Scottish” is translation of the French “Ecossais” in the French titles of some of the degrees of the Rite of Perfection. There may well be a traditional connection here. One or two of the degrees were long supposed to have been devised by the Chevalier Andrew Michael Ramsay, a learned Scotsman, tutor to Prince Charles Edward, the Young Pretender. These degrees seem to have afforded a meeting place for those in exile in France, who were adherents of the Stuarts and who were plotting for the restoration of James II and his son to the throne of England. In 1801 a Supreme Council was opened in Charleston, SC under the above constitutions, absorbing the previously existing Rite of Perfection. This Supreme Council subsequently issued warrants for other Supreme Councils. All other regular Supreme Councils of today are descended, directly or indirectly, from this the Supreme Council of the Southern Jurisdiction, United States of America.